The Lady Spartans basketball team returns with more pride, stronger plays, and a fierce attitude. Ready to begin another phenomenal basketball season for the 2016-2017 school year, the Lady Spartans are stronger and more prepared than ever. Varsity ended last season with a 19-5 record, Junior Varsity with 12-2, and C Team with 4-8; the girls are eager to jump right into this year’s games. Head coaches Damien Allen, Caitlyn Zeiler, and assistant coach Kathryn Kindle have combined different plays and tactics to make this season the best it can be. With a majority of the varsity squad being juniors, the girls’ chemistry will shine through this year, considering they’ve all been playing together since they were freshmen.With a hopeful synergy, the team strives to meet their goals. The first game of the season will be held at the Vista Peak Bison Bash against Sierra High School, a team that qualified for state last year. “It will be a good test for us to start the season because it will really let us know where we are,” stated Allen. 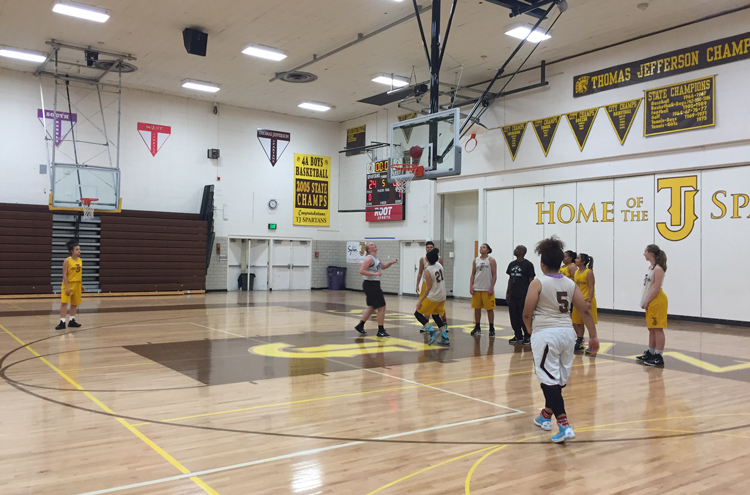 With growing aspirations, the girls basketball team is entering the season with a positive attitude and numerous hours of practice in tow.